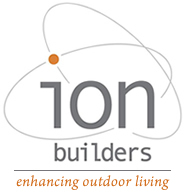 Ion Builders is a licensed general contracting company specializing in the construction of custom decks and fences. Founded in 2003 by Gus Obleada, our goal is to provide high quality products and services to both homeowners and residential builders. Our dedicated and motivated employees take great pride in craftsmanship and customer service. We'll work with you from design inception, to installation, and see you through one full year of Satisfaction Guaranteed.